Most do-it-yourself infographic tools provide users with pre-designed templates to choose from. However, some non-designers may become very frustrated by the amount of time they need to spend modifying templates to their needs. Some users may just want to pick and choose sections of the infographic templates and combine them into one infographic that fit their needs. Visme aims to solve this challenge with a feature that allows users to browse through a library of pre-designed content blocks that correspond to the different sections of an infographic. This way, users can simply drag-and-drop content blocks onto their canvas, modify texts and apply a color scheme. Click on Create New at the top left of your screen in dashboard to create a new project. 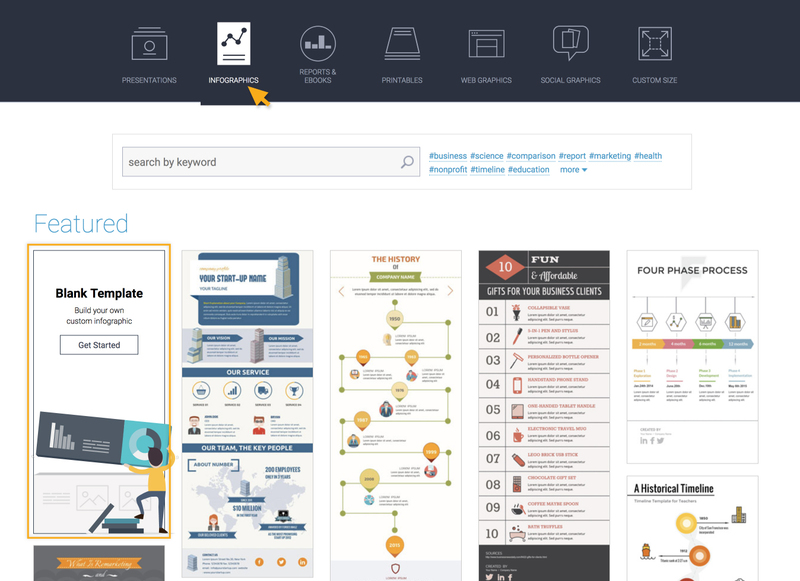 Choose the Infographics category from the list of visual content options. Select the Blank Template as shown below. When you are in the Visme Editor, you will see a block canvas. Once you have selected that block, a right panel next to the block will pop up. Click the + icon and select Add from Template in the dropdown. A window will pop up with different categories of templates to choose from. Select a design that you like (Header for example) and then click once to add it into your infographic. Tip: You can choose from dozens of ready-made blocks including a variety of header, body contents and footers. 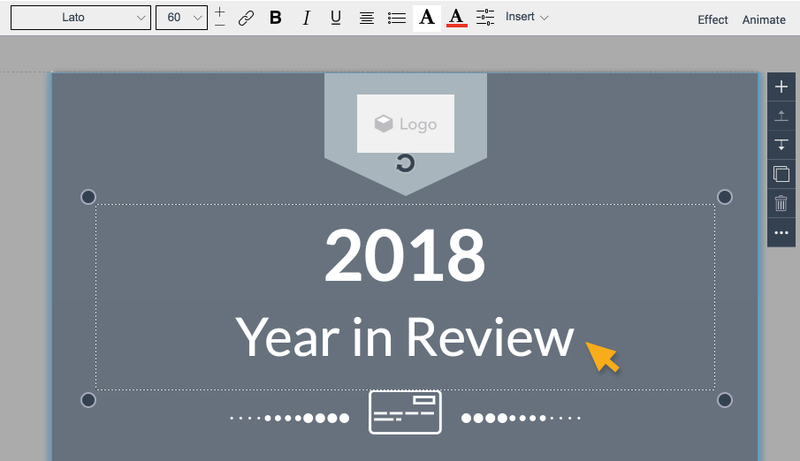 You can also add a content block template by hovering your mouse over to the bottom of the canvas where it says +Add Block and click From template. Once you’ve positioned all of your body content blocks, you can then choose a footer where you can cite sources, reference, link to you social media profile and even insert your logo. To replace an image, simply double clicking on the image and choose an image from your file. It will replace it once you click open. You can also click Replace on the top left of your screen. Once you’ve customized your infographic with your own contents, you can then select a monochromatic color scheme by clicking Theme Colors on the left panel. Click a color scheme that you like to apply it on your infographic. Tip: To change your project back to the original color, simply click on Default. Turn on Revert colors to revert your colors.